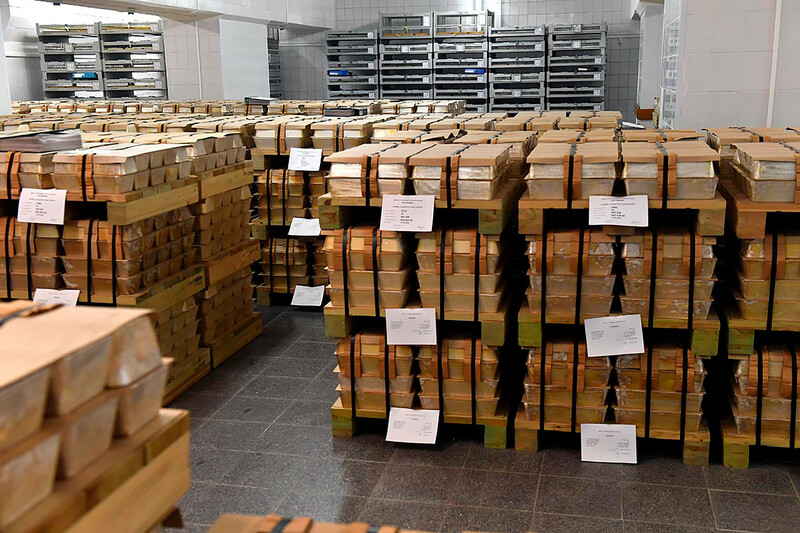 Ever wanted to know what a gold storage facility looks like? Now you can. 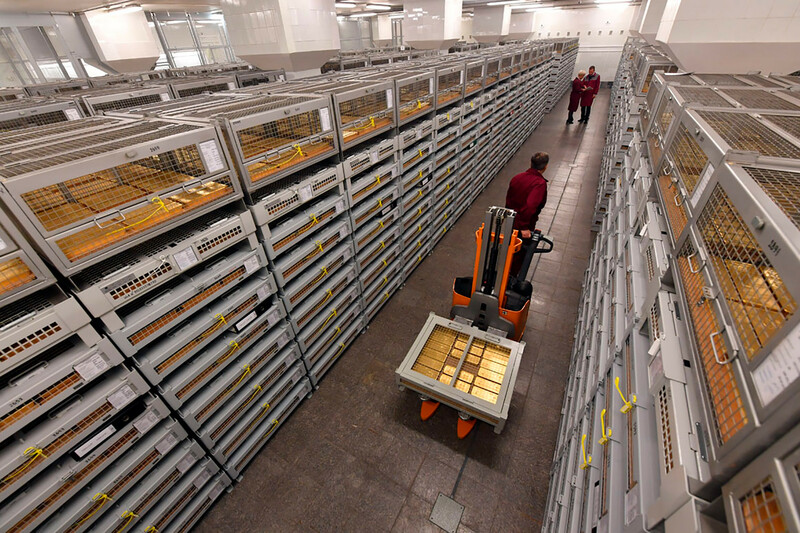 Russia’s gold reserve amounts to over 1,800 tons – the sixth largest gold reserve in the world. 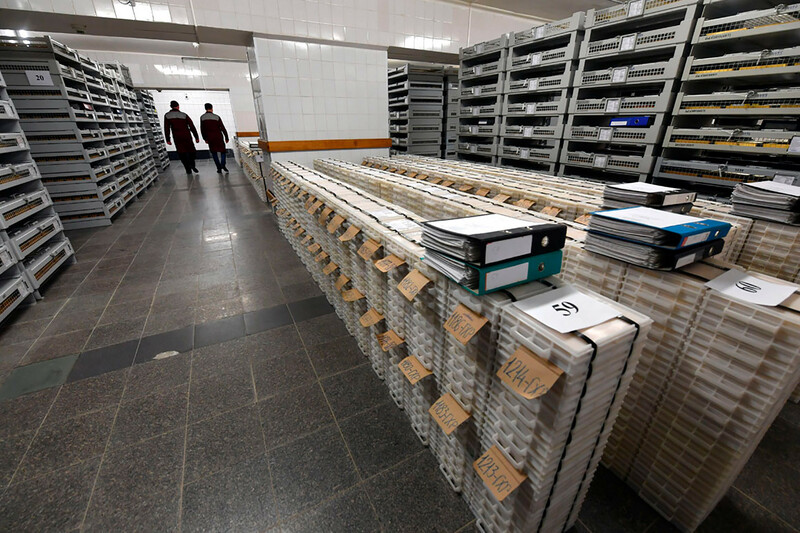 Thanks to Russian journalists from Komsomolskaya Pravda, who were the first to be granted entry to the country’s Central Bank gold storage, we can get a glimpse of where all the treasure is kept. 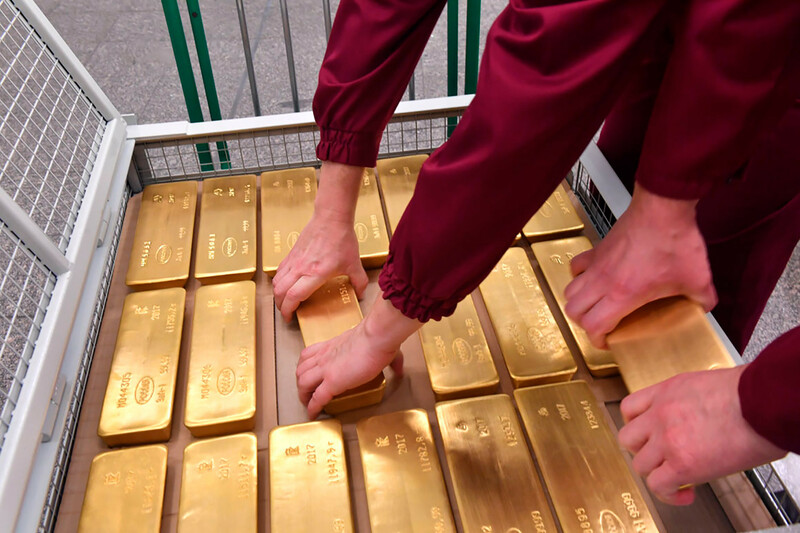 While many would imagine gold bars to be piled in a sort of a pyramid (like we see in films and TV shows), in reality everything is a bit boring. Containers reinforced with metal bars, one on top of the other, form tidy rows - the scale of the storage is pretty impressive. One of the containers has 20 gold bars and each one is sealed. 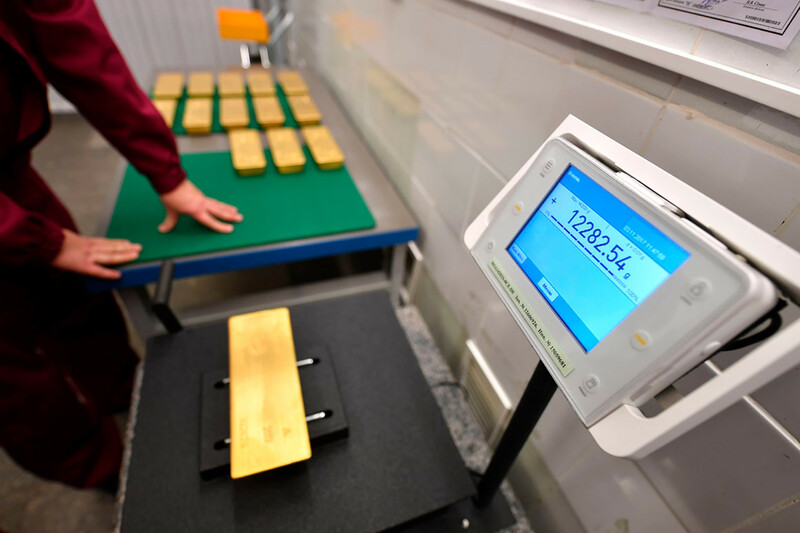 A gold bar doesn’t look heavy, but it is – one such bar weights 12-13 kg! 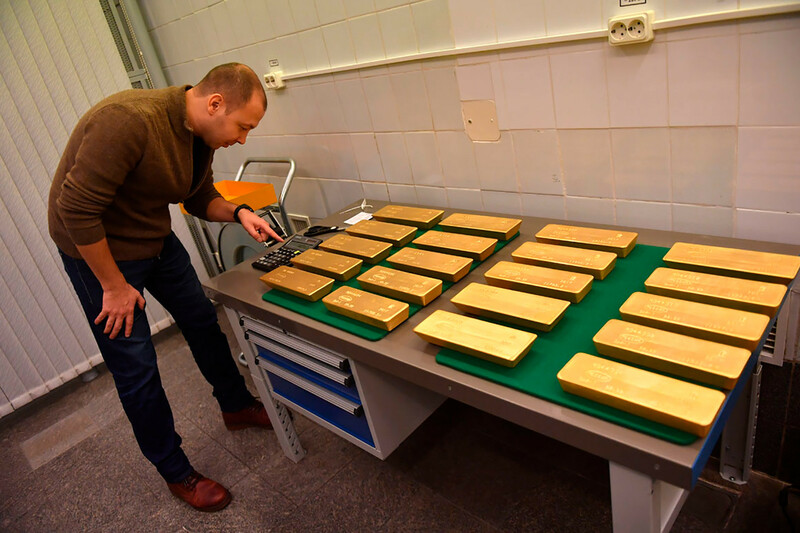 Every gold bar has its own certificate of quality and are usually 99.95 percent gold. The remaining part may be impurities like iron, platinum, silver, etc. 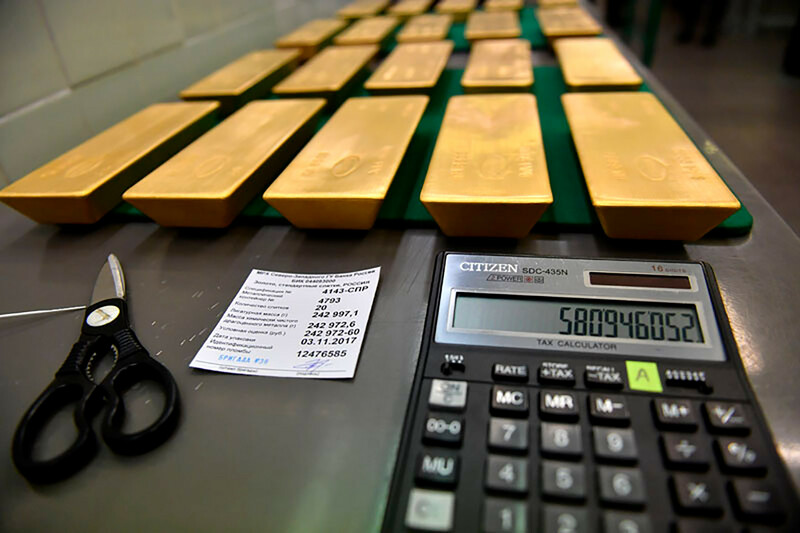 Important details, like the name of producer, place, year, and weight are marked on the gold bar. 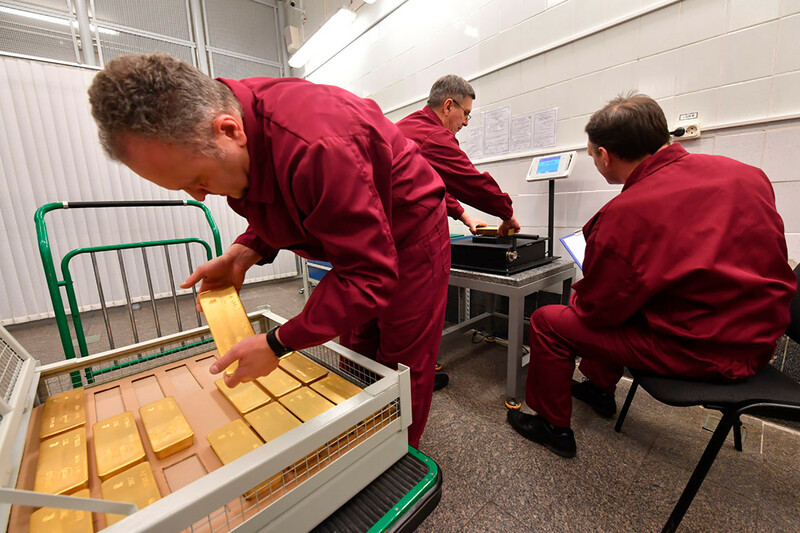 Apart from that, they need to follow several rules to make sure the gold remains in tip-top condition. 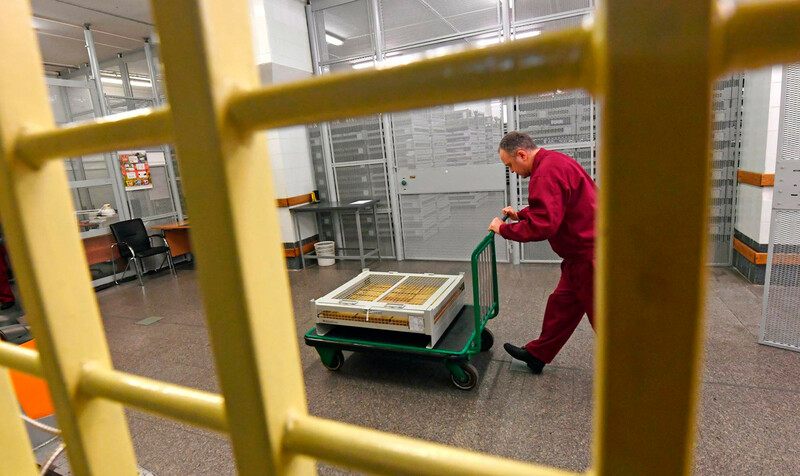 One such rule is weighing the bars on a special green cloth to avoid scratches and other damage. 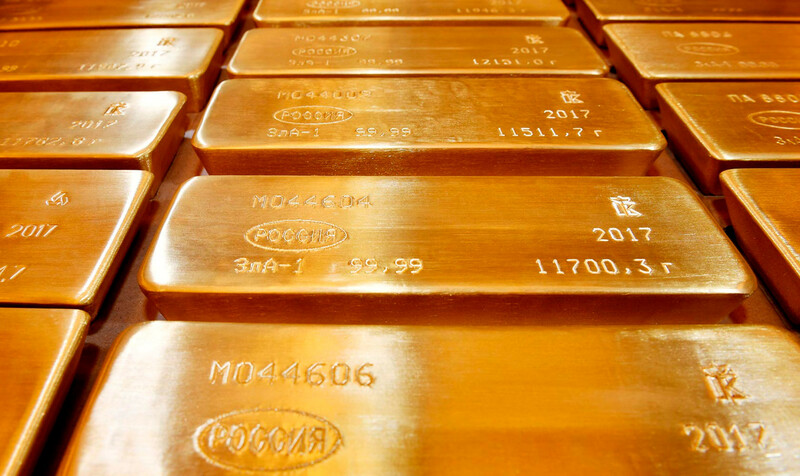 The employees refer to the gold as “metal.” And it’s easy to see why - if you spend enough time in the storage facility it loses its gleam so to speak...after all, it is just metal.